Shall we go shopping? (Enablers? Us?) Read on for the new season's key pieces, as currently coveted by the Muddy HQ crew. 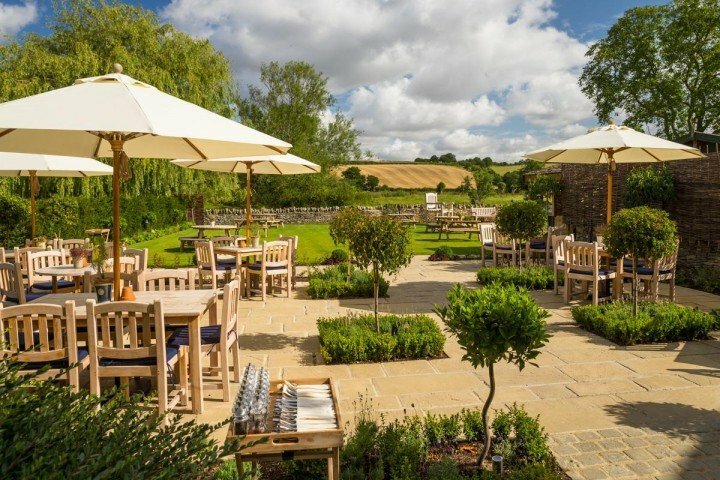 Yes, yes, it’s getting colder and darker, our tans have faded and we’re struggling to find an excuse to drink rosé BUT let’s be positive here for a second about the changing of the seasons. Autumn = mega fashion bounty ahoy! The shops are groaning under the weight of delicious new pieces in their new season collections. So what’s on your wishlist? 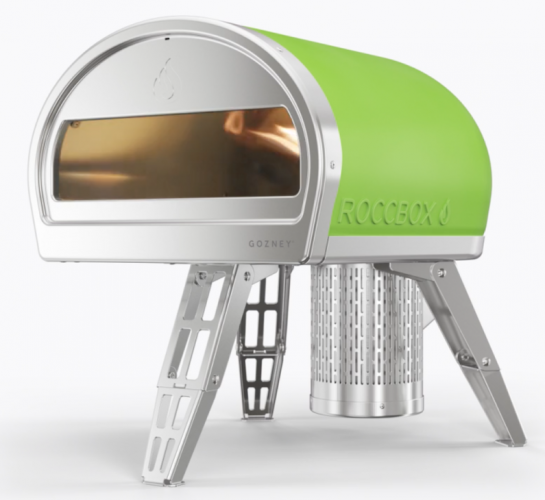 Here’s what the Muddy HQ crew have their beady eyes on…. You won’t miss me at the school gates or – more likely – across a crowded bar in this scarlet showstopper. Red is everywhere this season and I couldn’t be happier – I’m officially bored of safe, boring, black coats. 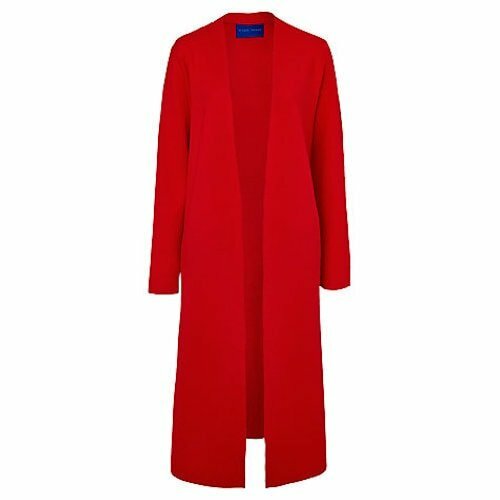 This Winser London one (£179) is merino wool, has a simple collarless neckline so would work with any manner of scarf or necklace arrangement, and, when paired with a slash of red lipstick, has a Hitchcock heroine vibe. It shall be mine! 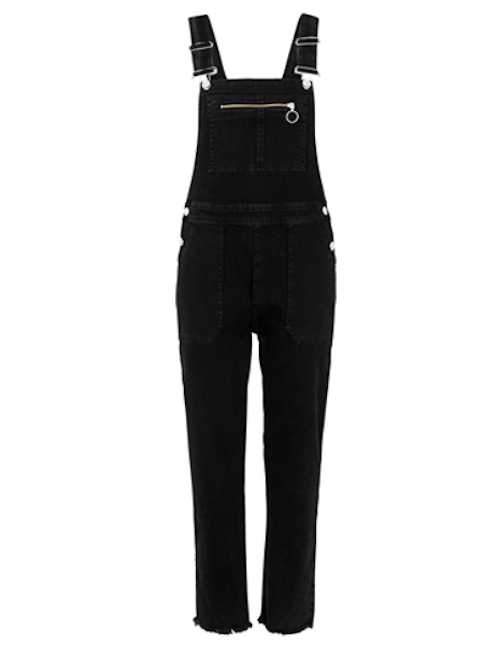 It’s taken me months to find a pair of dungarees that don’t make me look (a) enormous or (b) like a children’s TV presenter but these cropped, black denim ones from Whistles (£119) are perfect. Their clever cut makes them surprisingly flattering and I can chuck any old T-shirt underneath and still look vaguely stylish. I’ve been wearing them with Birkies and white trainers, but I’d also smarten them up with a black kitten heel. I may have stilettos on my business card but, at heart, I’m a trainers girl. 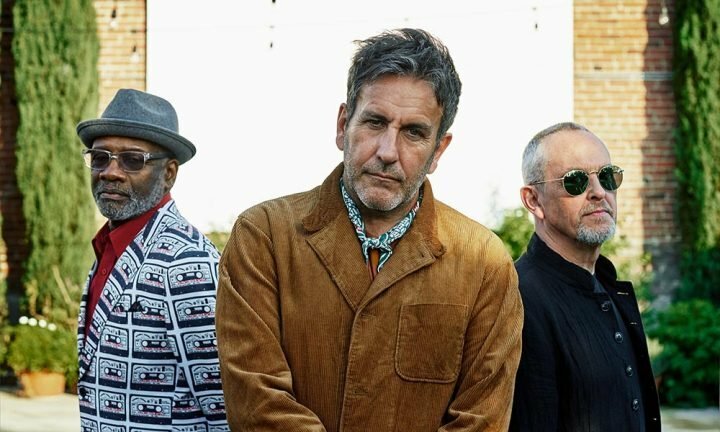 They’re comfy, look cool and I love wearing them with a midi-skirt or dress – they give a bit of an edge to outfits than can look a too ladylike otherwise. 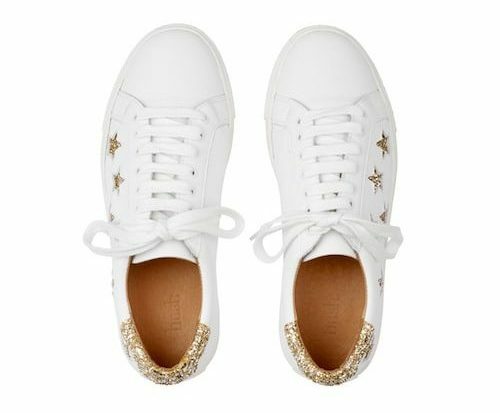 These white Hush trainers (£145) are totally up my street – how can you not love those glittery gold stars? I’d happily wear these to a party. 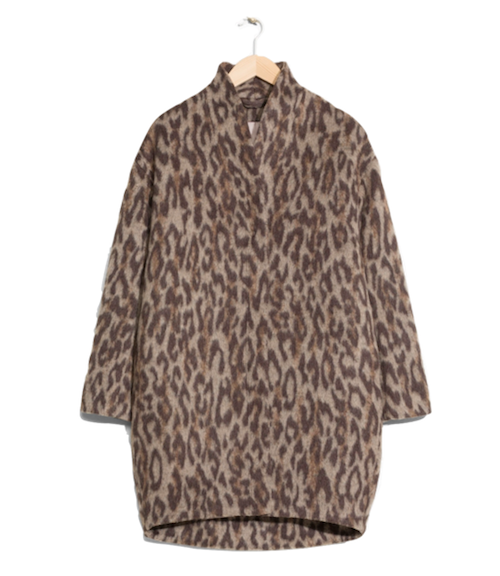 I’ve just bought this & Other Stories coat (£155) on a whim and am now eagerly awaiting its arrival while keeping my fingers crossed we don’t have an Indian summer. Everybody loves a bit of leopard – you can’t have a bad/boring day when you’re wearing it, can you? And also when I chuck it over my jeans in the morning, it’ll automatically look like I’ve made an effort. Result! 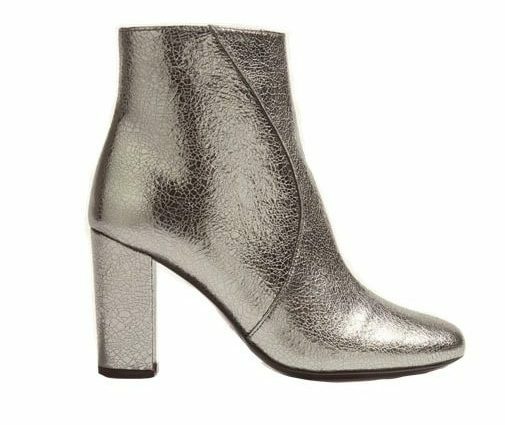 I’m a sucker for an ankle boot (even in summer) and these Bowie-esque beauties from Karen Millen (£225) are top of my list this season. The block heel is key – they may be high, but I can actually walk in them. And I’ll dress them down with jeans and a cool slogan T-shirt for work, and then dress them up with a little black dress for evening. And that is the kind of multi-tasking potential that helps me justify the price-tag. All Saints is where I always head in search of a frock, and they’ve come up trumps again this season with this slinky burgundy one (£128). I like the simplicity of the style, with just a touch of pleating detail around the neckline. It’s versatile too – one of those dresses you can wear day or night. And the sophisticated berry shade works brilliantly with silver accessories – I’ll team it with big silver dangly earrings and a chunky bangle. 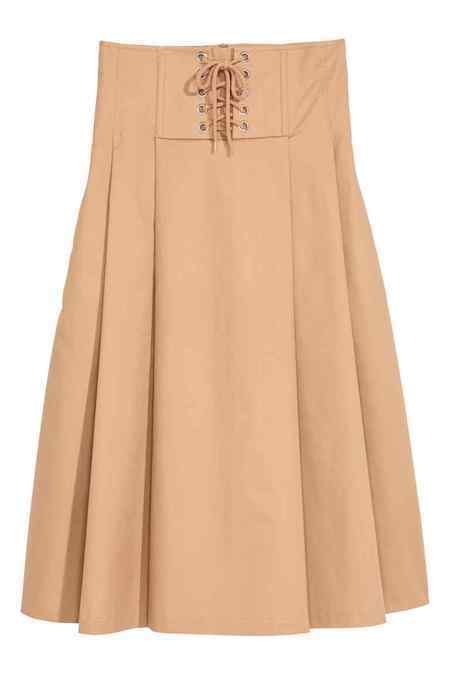 This H&M skirt (£34.99) is the perfect transitional piece as the seasons change. I’ve always written off midi-skirts as too frumpy but this one has won me over with its elegant cinched-in corset-style waist. On warmer days (so, you know, next year), I’d wear it with a tucked-in cami top or with a fitted jumper when it’s chilly.